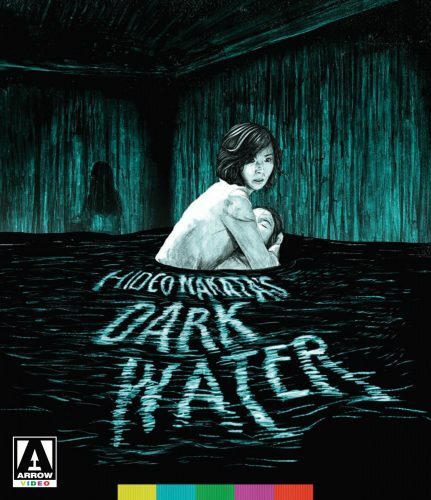 After terrifying audiences worldwide with the blockbuster J-horror classic Ring and its sequel, director Hideo Nakata returned to the genre for Dark Water, another highly atmospheric, and critically acclaimed, tale of the supernatural which took the common theme of the dead wet girl to new heights of suspense and drama. Beautifully shot by the same cinematographer as Ring and Pulse, and featuring an especially unnerving sound design, Dark Water successfully merges spine-tingling tension with a family s heart-wrenching emotional struggle, creating one of the very finest and most unsettling contemporary Japanese horror films. The Sound Quality is pretty good, clear sound and bassy tones when it’s needed. The Picture Quality is Better than the DVD but it’s not the much better as colors are a little less faded and do have a pop but sharpness isn’t the greatest until we get close-ups Thanks to the grain. Dark Water is a J Horror Dealing With a Ghostly Child inside an Apartment that is full of leaky ceilings. A Mother Gains Custody of her young daughter and moves into an Old worn down Apartment building that has some History. The Mother starts seeing weird visions of a Child that’s not hers whom once lived in this building and slowly over time we find out whats going on. Her daughter also experiences the same things. The Story kind of runs along the Ringu type films in a way but its own film. The Story is slow but picks up as the story runs. Horror aspect of the film was fun but it could be more. Some creepy scenes but overall not that scary. No Gore of even blood but we get lots of water and at times a child appearing in a door way. But of course we also get a physical demon of sorts near the end which looks like a child covered in mud. The ending was different leaving some one stuck in the apartment for eternity and the Ghost Child not letting them leave. The ending doesn’t have a resolution of whats going on as the story keeps going after credits role. Overall the film was good watch, Not the best but still had its moments. Some may not like the ending but I like it as its different to an American Film that Ends Happily with a mystery solved for the most part. If you enjoy J Horror, Little Girl Ghosts, and or are a collector of Arrow then pick it up and give it a shot.